Learning to make dots on beads. My favourite is the green one. The swirly ones were experiments. They look like tiny planets to me. 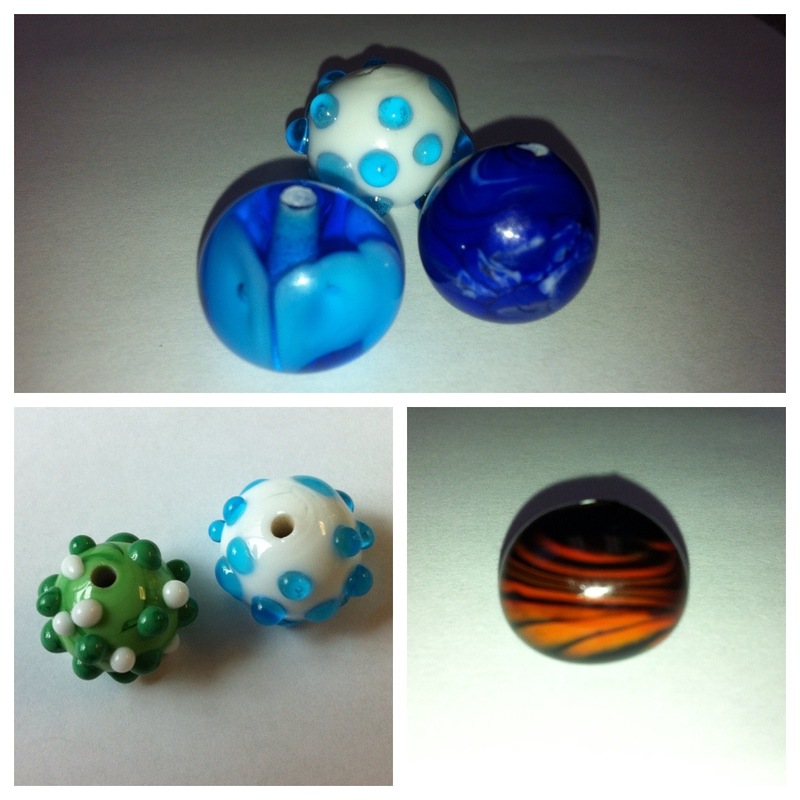 This entry was posted in new activities and tagged beads, glass by WendyA. Bookmark the permalink. I like the swirly blue one. Planet Earth perhaps?